Once known as the Broadway of America, the Bankhead Highway's impact on hundreds of Texas communities -- from colossal cities to tiny towns -- remains evident to this day. Upon completion of the highway in the 1920s, businesses and attractions specifically catering to motorists emerged along the transcontinental roadway, which stretched across Texas from Texarkana to El Paso. Fortunately many of these resources remain intact today. In Texarkana, the historic route along 7th Street is lined with 1940s, '50s, and '60s motels, restaurants, and gas stations built for those traveling by car. Similarly, in the 1920s, the Bankhead Highway traversed the Deep Ellum neighborhood in Dallas along Commerce Street. 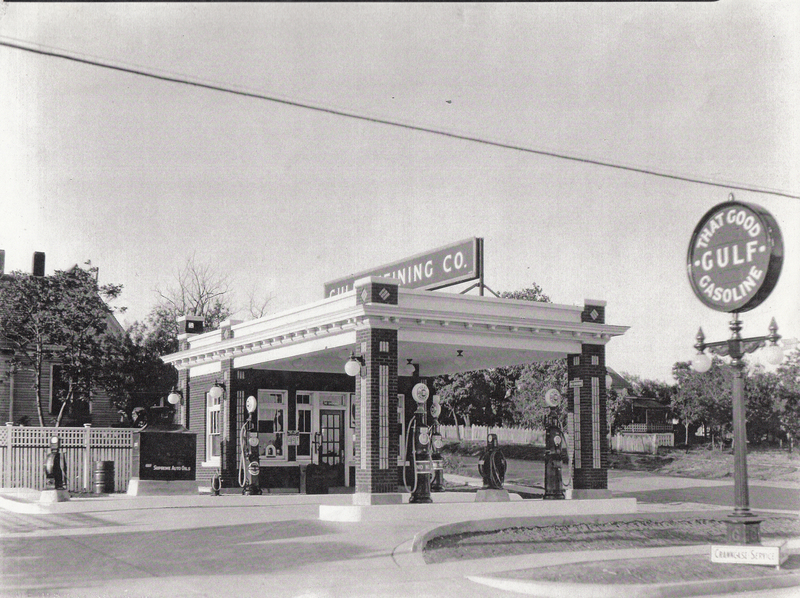 Today, the neighborhood retains many of the gas stations, garages, and dealerships dating to that era. In Abilene, South 1st Street contains one the best collections of historic motels (1930s-60s) along the entire highway's path in Texas. 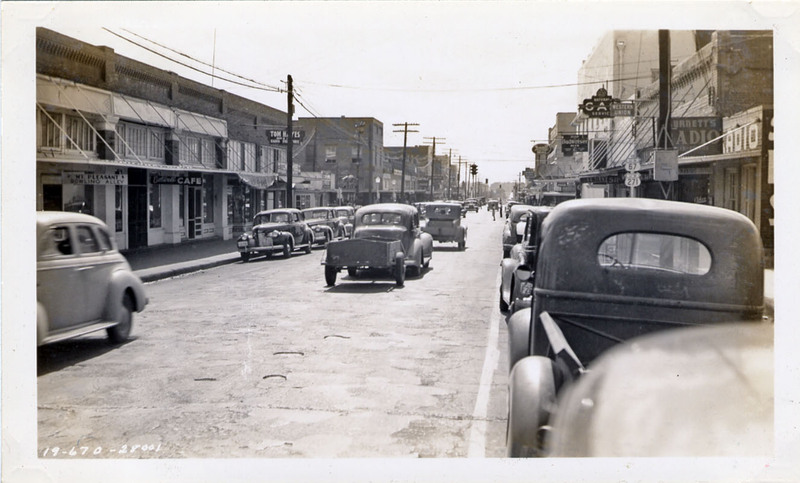 In smaller towns, the Bankhead often traveled Main Street business districts. Communities such as Mount Vernon in Franklin County, Ranger and Eastland in Eastland County, and Big Spring in Howard County hosted the historic highway, and they retain respectable collections of auto-related businesses dating to the mid-1900s. The Bankhead Highway was one of the nation's earliest transcontinental highways. Its beginnings can be traced back to 1916 when the Bankhead Highway Association was organized to promote the highway's development. The roadway extended from Washington, DC to San Diego, California, by way of Alabama, home of US Senator John H. Bankhead and a major supporter of the highway. Its path crossed approximately 850 miles of Texas, passing through Texarkana, Mt. Vernon, Dallas, Fort Worth, Abilene, Midland, Van Horn, and El Paso, among other communities, and roughly followed US 67 and US 80. The Bankhead Highway has been known by a variety of names. All or parts of this roadway have been known or designated as SH 1, SH 1A, Broadway of America, US 67, US 80, US 80A, US 180, IH 10, IH 20, and IH 30. Nonetheless, one aspect of its history has remained constant since its creation; the highway has been one of the most important transportation corridors in the state's history and it continues to play an important role in its economy and future development. Many segments continue to serve interstate tourists and commercial traffic, while other sections now cater to a more localized market. The associated built environment reflects this rich history. While some of the buildings and structures continue to be used in their original capacity, others have been repurposed, abandoned, and even demolished. The survivors represent a rich legacy in the history of the state and highway transportation. To read the Bankhead Highway history, click on this Bankhead Highway Report (4.2 MB) to download. Upload images to our Bankhead Highway in Texas Flickr Group!